Maxis Pay is a simple, fast and secure payment gateway offered to you by Maxis. 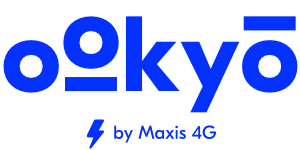 Once you sign up and key in your chosen credit card details, you can use your Maxis Pay log-in credentials to easily manage your ookyo payment methods. You'll save time and be able to enjoy peace of mind that your details are secure. Sign-up is free.